From 2 to 8 August, Cologne Gamelab is hosting another Notgames Fest at their new location Schanzenstraße 28 in Cologne, during GDC and Gamescom. Like the previous 2 editions, the exhibition will be designed by the students, making the Notgames Fest the most beautiful show of games on the planet. Now that there’s so much willingness, technology and skill to create beautiful virtual worlds, it’s disappointing how many videogames cling to obstacle-based designs. As if players have to earn the privilege to explore by passing an irrelevant test. Now is the time to open up this medium, to let go of our affections and addictions, of our loyalty to childhood memories, to open up the beauty of videogames for the world to see. Everybody wants to visit our worlds, to interact with our characters, to play a role in our stories. Don’t let them down! Give them access. Let design mean the building of bridges and the opening of doors, not the hiding of keys and the cowardly sniper shot. Welcome the player with open arms, be an entertaining host. Don’t pull the rug from under them or harass them just because you enjoy that sort of thing. I admit I’m being selfish. I see so many alluring worlds in videogames. I really want to visit them but virtually without fail, it takes less than five minutes to run into an obstacle that I don’t have the heart to overcome. An enemy, a platform, a puzzle or a simple pit. The game promises hours of exploration but forces me to quit at the very start. These days I spend more time buying and downloading games than playing them. I want to play. Please help! People —like me— want to see your creation, we are interested in what you have invented. Don’t shut us out. Don’t turn your new friends away. Be nice. If games form the top of an iceberg, notgames provide the remainder. Videogames are an incredibly versatile creative medium. Beyond the confines of competitive play, a wealth of experiences awaits us. From deep psychological probing to whimsical lighthearted joy, this year´s Notgames Fest intends to illustrate the breadth of human existence captured in interactive art. No more hiding behind the young age of the medium or despairing about humanity’s addiction to empty fun. It is time to wield this formidable tool for the pursuit of beauty in its myriad forms. After the great success in 2011 and right in time for the big games events in the city, the Notgames Fest returns to Cologne with a five days exhibition curated by Tale of Tales and the Cologne Game Lab. In addition to the main exhibition and social events, this year´s Notgames Fest will feature an expo-playground for advanced prototypes where game designers can show their work-in-progress to a broader public. Is it too late? Are videogame consoles dead? They certainly have lost much of their impact. And they are no longer the key to wide success or profitability. What happened? Many things I’m sure. But one thing, in my opinion, especially. Game consoles refused to make a medium out of videogames. They had everything going for them. Reasonably priced hardware, accessible interfaces, and most important of all, a place in the living room, where the games could be displayed on the large screen of a television set, the audio amplified through a decent stereo, and the player could be seated in a comfortable chair, far away from work. All the makings of a new medium, indeed! So what went wrong? And can it still be repaired? Despite of a few noble exceptions, console games have stayed loyal to the traditional game format for far too long. For too long consoles were presented as home arcade machines. And when they finally decided to enter the world of the grown-ups, they added movies. If consoles had allowed -or indeed, if they would start allowing now- videogames to grow into its own form of entertainment for many different tastes, they would not find themselves in the current pitiful situation where games on phones or web sites are stealing away their audience. Consoles are not casual play devices, they are media centers. Videogames on consoles don’t need to be shallow, throwaway fun. When I’m sitting down in my comfortable chair, I am relaxed and I have a few hours to dedicate to entertainment, hit me with all you’ve got! I want spectacle, I want emotions, I want to be immersed, absorbed. I want to care, I want to be involved. And I don’t want to collect spinning coins, match colored blocks, or shoot hordes of zombies. I want substance! I’m not talking about 50 hour games that nobody ever finishes. The production cost of such extravaganzas has been the mill stone around the neck of this medium for far too long. And we need breathing space to experiment. Especially now. Because there’s a lot of work to be done. A lot of damage to repair. There is no reason why playing a videogame should take longer than watching an average movie. There is also no reason why such a game should cost the consumer more than an average movie. And it is perfectly possible to create condensed impactful videogames for a fraction of the cost of equivalent films. I also believe that a shorter length in itself will make videogames more accessible to a wider audience. Current games are simply too long. It’s intimidating and discouraging for many potential players. Game consoles do not need to play movies to draw in an adult audience. We can make games that do this! We can save the videogame medium! And consoles would be smart to open up their doors to artists who want to do something more with the technology than make another Mario clone or sports simulation. We can take this much further. There is no reason why videogames could not offer the same breadth and depth of experiences as any other medium. Videogames can be as versatile, desirable and respected as literature, music, theater and cinema. Consoles can choose to act now with courage and confidence or wait until desperation forces them. In a way, the success of mobile games and web games is a godsend. Because it’s a clear demonstration of how games should be made. Angry Birds and Farmville are the ultimate games. It makes no sense whatsoever to even try to imitate that pattern on a console. We play videogames on consoles for entirely different reasons. We want the story, the immersion, the emotions. And formal gameplay simply acts as a way to prevent us from accessing these. There’s a lot to say for formal games. But smartphones, or indeed cardboard or just our bodies and a list of rules, suffice to play them. Such games do not require the kind of technology, or even setting, that a game console offers. The game console offers a media experience. This has nothing to do with a formal game experience. If consoles have a future, it will consist of interactive media experiences that are not games. The evolution of blockbusters games clearly shows a direction towards a more pure interactive entertainment without the complications offered by formal games. But this evolution is happening too slowly. A radical step needs to be taken now. It’s perfectly possible, perfectly feasible, and it makes perfect sense, both economically and culturally. The city of Halberstadt, Germany, is currently conducting an organ performance that will last 639 years. The last sound change occurred August 5, 2011, and the next sound change will be July 5, 2012. Is this as slow as possible? Is this the final word on the slowness of musical performances? A performance of 639 years spans the lifetime of many human generations. This performance is certainly using a time scale uncommon to the human experience. 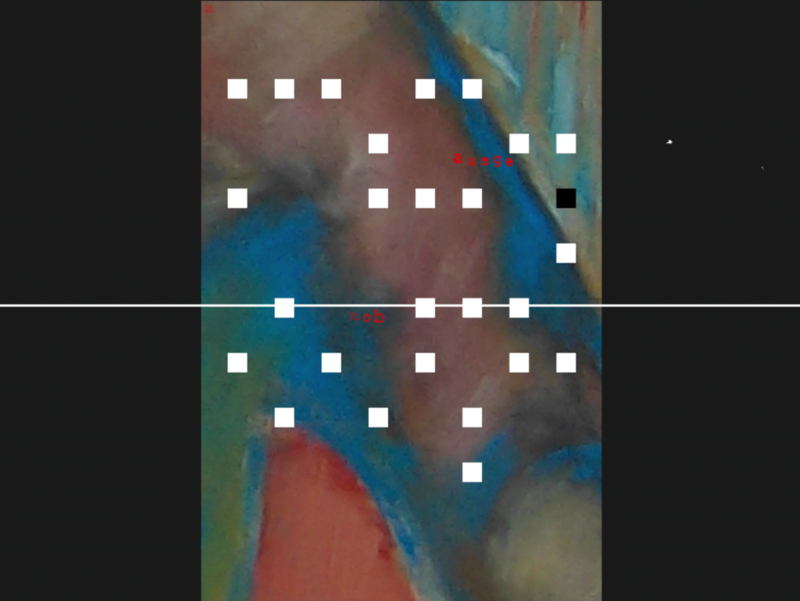 One aspect of ASLAP (the videogame) and of ASLSP (the composition) is the perception of time and of the human time scale (that goes from birth to death). What does an instruction like “as slow as possible” mean for a videogame? How slow can a game be? 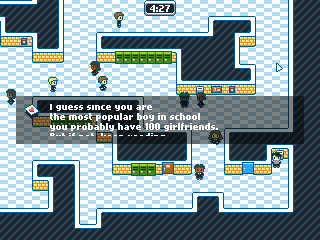 ASLAP presents this question to the player. At what point does the player become a viewer? Which strategies are required to play a game, which is breaking the standard time length for videogames? How do you organize your life around playing a game in “realtime” which could take 20 years? Or 200 years? ASLAP starts slow, you need to “phase yourself in.” It starts slow and gets slower and slower. And slower. Ad infinitum(*). Each player should decide for her/himself, how slow “as slow as possible” is. What kind of game then is it? ASLAP can be described as a game in search of a puzzle game, though there should be enough time left to find the game in the game. 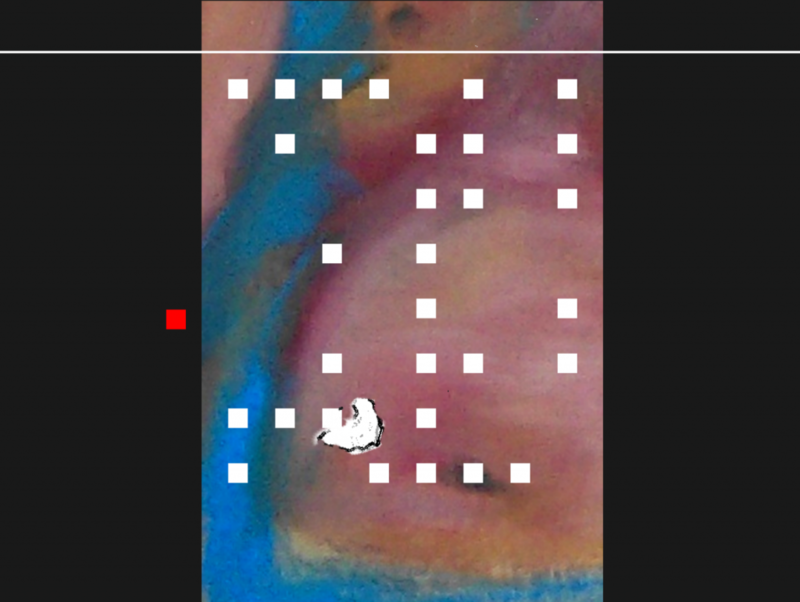 The musical structure of ASLAP (the videogame) is very primitive. Two notes switch endlessly back and forth and each note plays longer and longer. 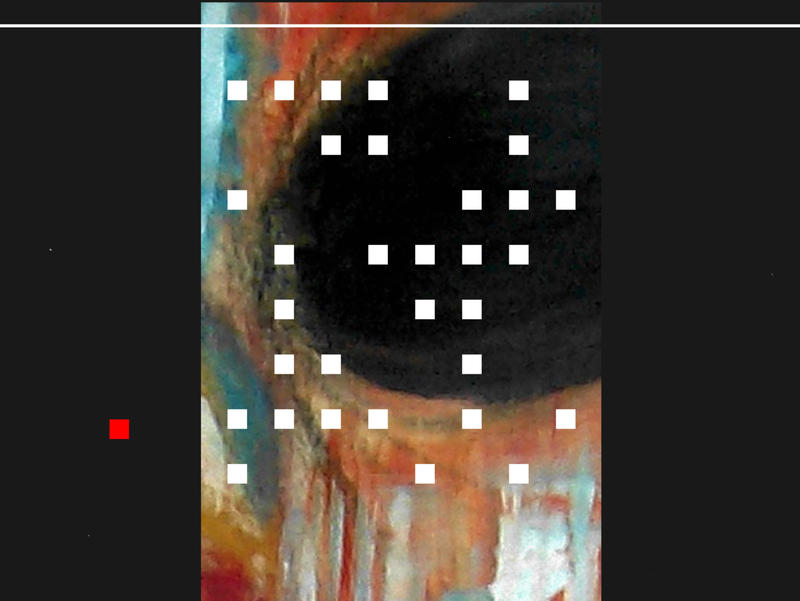 It is a found footage game from the 70s, from the lost works of Ewon Gral. It is a living painting and a still life (nature morte). It has its own consciousness (*). (*) still needs to be proven. 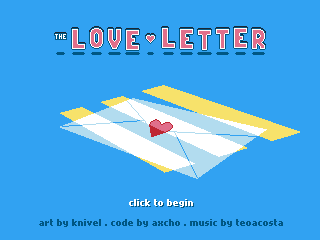 On Valentine’s Day, indie game developers axcho and knivel released a little game called The Love Letter. 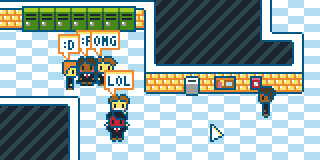 It’s a free, five-minute experience, a slice of life as the most popular boy in school. But things aren’t so easy at the top, especially when you find a mysterious love letter in your locker and you have to read the whole thing during passing period without any of your so-called friends catching you. “It’s hard for me to say where The Love Letter fits in the spectrum of game to notgame. The purpose is to get across a particular five-minute experience, not to make it about a challenging game with a lot of replay value,” says axcho, who wrote the code for the game. While there are no points, achievements or levels to be found in The Love Letter, it is possible to win or lose. Getting caught by another student while reading your love letter results in a cute but painful shaming in front of your peers, and a quick trip back to the title screen to try again. If you do get to the end of the letter without anyone seeing you, you are rewarded with an awkward but adorable encounter with your secret admirer, and a satisfying “the end” that makes it clear you’ve met the game’s expectations. Still, there is a balance to be struck. You could call it a casual stealth game with only one level, but that would be missing the point. The Love Letter was originally a 72-hour creation for the Ludum Dare 22 game jam, where hundreds of participants all over the world spent a weekend making games inspired by the theme of “alone”. The game’s author knivel says that the brief development time encouraged him to try making a short, scripted experience that really explores the competition theme rather than simply trying to make a fun game that people would want to play over and over again. It lasts for five minutes because that’s as long as it needs to be. It’s not particularly deep or profound, but it stands on its own for five minutes, without all the gameplay fluff that would be needed to sustain a longer playing time. “What made this for me was the fact that the game didn’t try to ‘challenge’ me with levels, achievements, or points. It could have been more ‘fun’ and earn more flash portal money if you went that route. I can imagine myself adding more challenging level design and mechanics to this until the game ends up as this soulless fun machine. We’ve all seen shallow themes stretched out to hours of gameplay, whether in killing monsters or clicking cows. But while some developers choose to reach for lofty heights with themes that deserve such extended introspection, others like axcho and knivel simply take something sweet and fresh and give it all the time it deserves. Five minutes. You can read more about The Love Letter’s development on axcho’s blog. 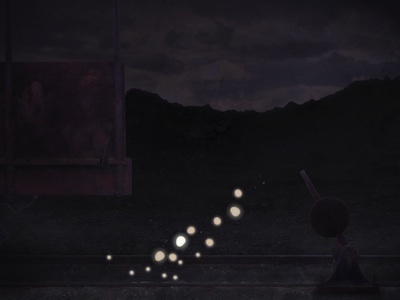 Swedish indie game studio Woolly Robot has just released its poetic title Flight of the Fireflies for iPad. Flight of the Fireflies is an atmospheric and experimental game where you guide a swarm of musical fireflies with your finger. The game is available through the App Store for $3.99. “I want to create games that are more about having an experience than about being challenged. Flight of the Fireflies is an experiment to see how much you can take the game out of a game, but still have an immersive experience,” says the game’s designer Jonathan Hise Kaldma. The game design isn’t the only way that the game pushes boundaries. Unlike in most games, the music isn’t pre-recorded, but is generated dynamically while you play the game. 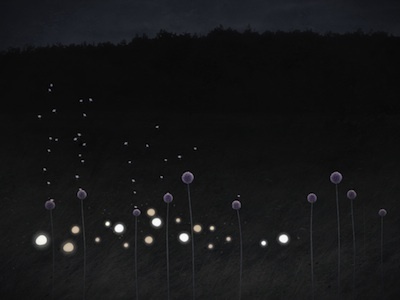 Each firefly is a separate tone, and as you collect more fireflies, the music builds up and becomes more complex. Also, the environments in the game aren’t painted or rendered, but made from photographs taken in and around Stockholm, Sweden. 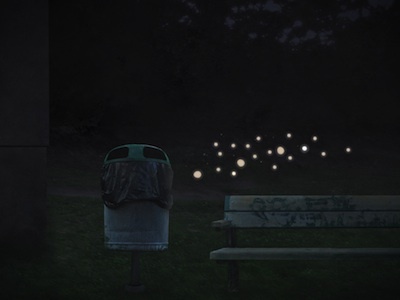 “One of the inspirations for the game was an exhibition by photographer Gregory Crewdson. I always felt like games could use photography more, so I went out with a camera around Stockholm to try to capture the feelings that I wanted to convey in the game,” says Hise Kaldma. One of the problems the studio has faced with the game is how to best describe it. Woolly Robot is the indie game studio of designer Jonathan Hise Kaldma from Stockholm, Sweden. He is an active participant in the Notgames Initiative, the collective of game designers that explores the potential of video games as a new medium. Flight of the Fireflies was exhibited at last year’s Notgames Fest in Cologne. Flight of the Fireflies – Trailer from Woolly Robot on Vimeo. 2012 Promises to be a fruitful year for the notgames community, with 10 new releases planned by 7 of its members. One of these titles, Dear Esther, has already stirred up quite a bit of attention recently with its quadruple nomination in the Independent Games Festival. But there’s more where that came from. The first release, on January 31st, is “Flight of The Fireflies” by Jonathan Hise Kaldma at Woolly Robot: an iPad application featured in last August’s Notgames Fest in the Cologne Game Lab during the Game Developers Conference. On February 14, then, The Chinese Room will release the new version of “Dear Esther”, also featured in the Notgames Fest. And finally in the first quarter, György Dudas will release “As Slow As Possible”. In the second quarter of 2012, Shane Edward Semler of Ghostwheel Games is set to release “Alien Worlds Explorer” for iPad. The third quarter of 2012 will be the busiest of all. Dan Pinchbeck of The Chinese Room will release his mysterious “gameB”. Jeroen D. Stout of Stout Games, creator of IGF 2011 Nuovo nominee “Dinner Date”, will release “Cheongsam”. Plural Games‘ Nicolai Troshinsky, also nominated for the IGF Nuovo award in 2011 with “Loop Raccord”, will release his new “Landscape”. Woolly Robot is set to release their “Unannounced notpuzzle game”. And last but not least, Tale of Tales, creators of “The Path” and “The Graveyard”, both IGF finalists as well, will release “Bientôt l’été”. To end the year in beauty, The Chinese Room will release their “Everybody’s gone to the Rapture” in the fourth quarter of 2012. The full list can be consulted on the Notgames blog. This page will be updated continuously. New titles and release dates have already been added, with certainly more to follow. Tale of Tales’ Michaël Samyn started the notgames initiative in 2010 as a gathering place for developers who wish to explore the potential of videogames as a creative medium, beyond the confines of conventional game design. Notgames is not a category but rather an invitation, a challenge, a design method. The members of its community have already produced several titles that did not pass unnoticed. Next to the authors and work mentioned above, Frictional Games created multiple award winning “Amnesia: The Dark Descent”, Krystian Majewski is the author of recently released “Trauma”, Erik Loyer produced the iPad hit “Strange Rain”, Erik Svedäng made a big impression on the iPhone with “Kometen”, and so on. Notgames also has a Tumblr stream, a Facebook page, a Twitter account and a blog.